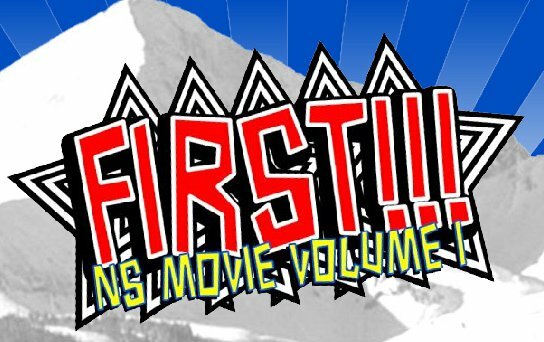 After the success of NS Movie Volume 1: First!! !, we're at it again. 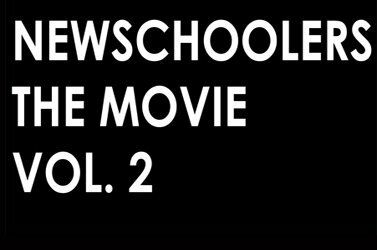 Volume 2 will be a well rounded follow-up to the first ever NS movie. In case you've been out of the loop, an NS Movie idea had floated through the forums almost since the beginning of Newschoolers.com. Last summer, NS came together to create a film that showcased amateurs and pros who were active members of the NS community. Like last year, members will submit footage, which will be voted on by the NS community. There will be multiple categories to submit footage. For example, if one member has only park footage, they can submit a 1 minute park edit. If someone else has urban and backcountry, they can submit a 1 minute edit in each category. There can only be one athlete per one minute segment submitted, this will ensure that everyone gets a fair chance at being in the movie, this is also the reason we are seperating it into categories. At the end of the contest, we will choose the top 5 of each category for the movie(except for pro). The categories are as follow, Backcountry, Urban, Park, Lifestyles/scenery and Pro. All together, the movie will consist of about 7 segments. The opening and closing segments will be reseved for the top 2 in the pro category. The Lifestyle/scenery category is a chance for cinematographers/editors to showcase their artistic side. The Pro category is for any member who is sponsored and rides competitively. For example, Wallisch, Cedric and Kenworthy are all considered pros, so if you are just sponsored by your local shop, upload into the am categories. Like Volume 1, members will have the chance to create their own title and DVD cover for the movie. The voting will likely take place in the forums if NS can get poll's within threads. If not, we will have a page where all the voting will take place. In addition to the movie, photographers will also have a chance to display their talent by submitting their best photos into the movie. The photos will be used to help create the DVD cover. The top photos will also be displayed on the dvd as a slide show. I'm going to need an army of editors to help me out over the summer. The editing will be done in house by myself and volounteer members willing to edit some of the segments. The Pro segments will be edited by production companies or professional editors. We are actively seeking sponsorship for prizes and budget. If you or your company can contribute prizes or cash, please contact Dave at ns.themovie@gmail.com and I will send you a sponsorship proposal. Depending on our budget, we may do some special projects like private photoshoots with members, this is tentative on the budget we receive.